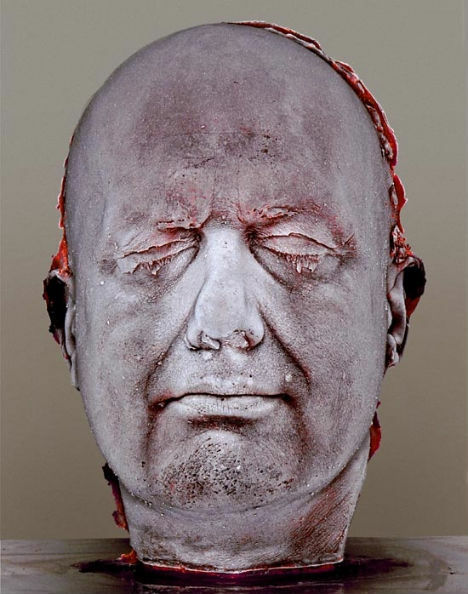 What could be more personal and human than a cast of your head – made from your own frozen blood? 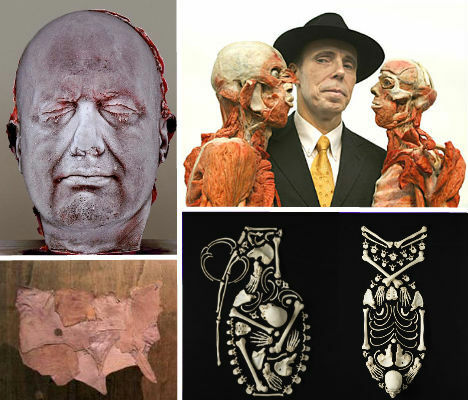 The human body has been used as a canvas for all sorts of art, but perhaps more interesting and rare is the use of human body parts as artistic media, from sculptures made of hair, bones and fingernail parings to plasticized corpses in dynamic poses. These 12 artists have made human body art that is often controversial and sometimes surprisingly poignant. If you’re going to do a self-portrait, why not go all out and make a sculpture out of your own frozen blood? That’s what sculptor Marc Quinn has done – every five years since 1991 – using a mold of his head and a whopping 9.5 pints of blood drawn over a period of five months. Quinn’s 2006 version of ‘Self’ was purchased by the UK’s National Portrait Gallery for over $465,000. 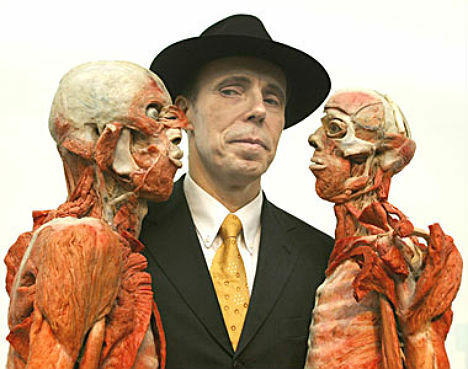 Perhaps no artist using actual human flesh as his chosen medium has gained such renown as Gunther Von Hagens, the man behind the “Body Worlds” exhibition of plasticized human corpses. But for all the outcry regarding Von Hagens’ supposedly “disrespectful” usage of human bodies, there’s just as much fascination. 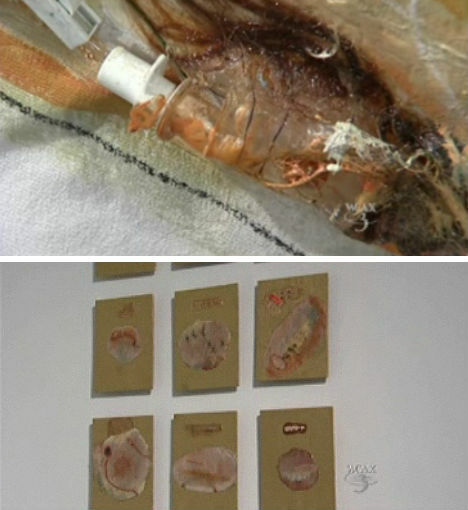 Von Hagens invented plastination, the method of replacing water and fat in human tissue with certain plastics, preserving them for study. Francois Robert’s fascination with human bones started with an unusual discovery: an articulated human skeleton hidden inside a presumably empty locker that he purchased. Realizing the potential for artistic expression, Robert traded in the wired skeleton for a disarticulated one so that he could arrange the parts into shapes and designs. 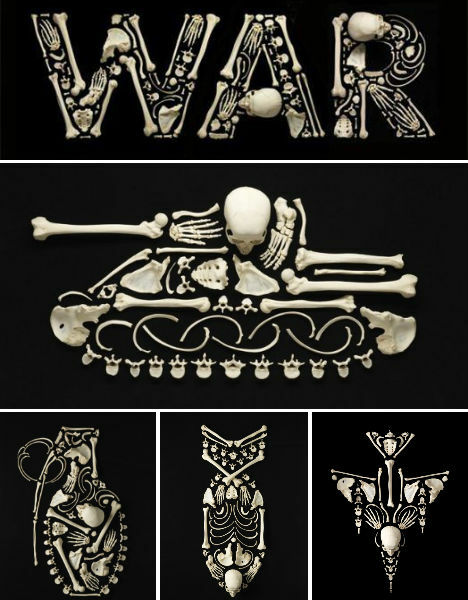 Since then, he has created a haunting photo series called ‘Stop the Violence’ that uses the stark-white bones on a black background to illuminate the inhumanity of war. British artist Anthony-Noel Kelly followed in the footsteps of many artists before him, including Michelangelo, when he closely studied human body parts for his work. But unlike those artists, Kelly illegally smuggled human remains from the Royal College of Surgeons and used them to cast sculptures in plaster and silver paint. Kelly was found guilty of this unusual crime in 1998 and spend nine months in jail. 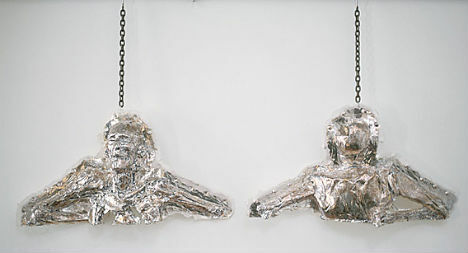 The sculptures can still be seen on his website, anthony-noelkelly.com. 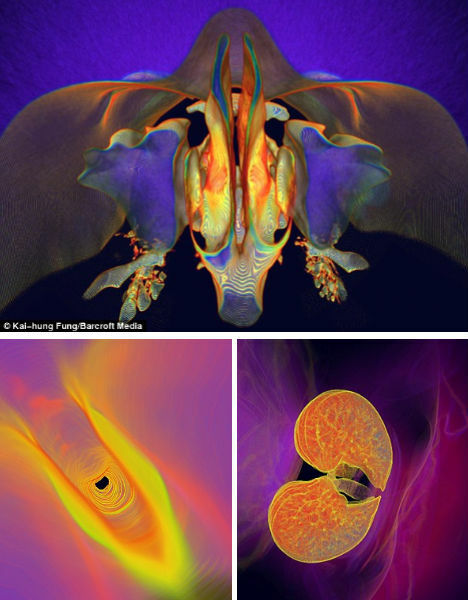 CT scans are typically only interesting to health care practitioners and the patients whose bodies they portray on film, but artist Kai-hung Fung manipulates them into stunning artistic images. Lungs, arteries, vocal chords and ear canals are just a few of the body parts that Fung – a radiologist himself – has scanned into a computer, intensifying the color but otherwise not manipulating them in any way. 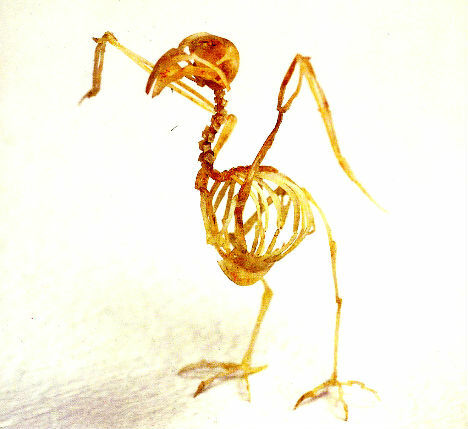 Tiny and delicate, almost diaphanous, this little bird skeleton at first seems remarkable simply because it is so well preserved despite the fragility of bird bones. But those aren’t bones at all – they’re the fingernail clippings of the artist, Tim Hawkinson, carefully arranged into the 2-inch-tall sculpture. You (probably) don’t mind wearing a sweater made from the wool of a sheep, so why not wear a dress made from human hair? 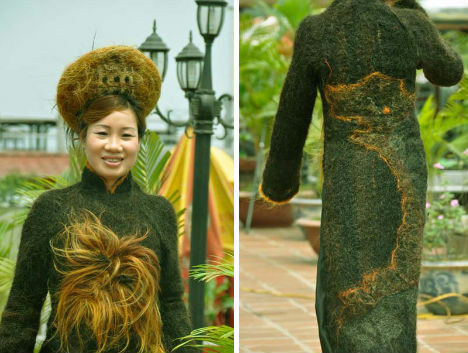 Kim Do of Vietnam created this bizarre masterpiece from 1 million meters of human hair gathered from 54 different people, dyed and sewn together, with lighter brown hair creating the shape of a dragon on the front. It even comes with a matching hat, perched on the model’s head like a matted bouffant. 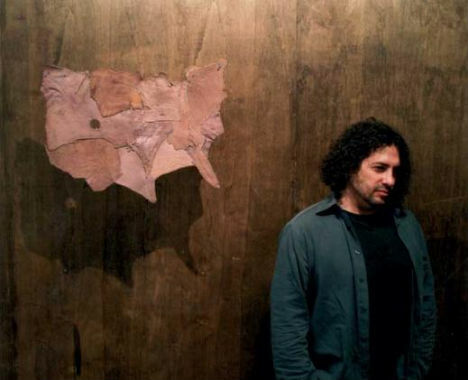 If a dress made from human hair wasn’t quite strange enough, another artist paid tribute to U.S. President Barack Obama with a sculpture made from – yes – hair. 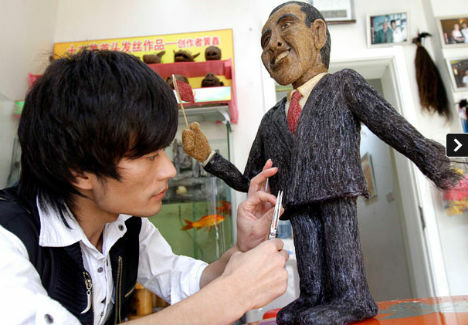 Hairdresser Huang Xin celebrated Obama’s visit to China by molding a mini hairy Obama sculpture using hot glue and tons of dyed hair. The lone mention on this list that isn’t made from actual human body parts gains a spot merely because the realism of this work is so shocking. 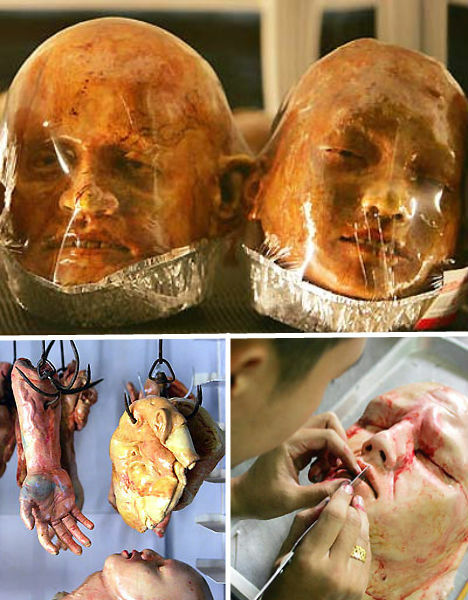 Thai artist Kittiwat Unarrom has disgusted and intrigued many a passer-by with his “human body parts” on display, butcher-style, hanging from hooks and laid out like choice cuts of meat. 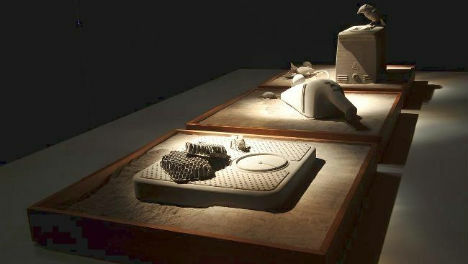 The thing is, Unarrom’s works aren’t actually the spoils of a serial killer, or garnered from human donors. They’re actually made from bread, but you would never guess by looking at it – which is why they make such great gag gifts.